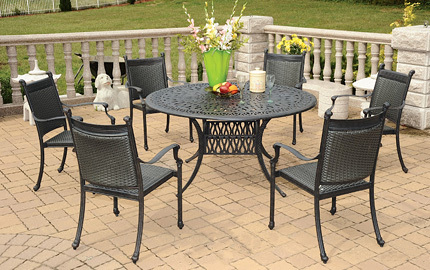 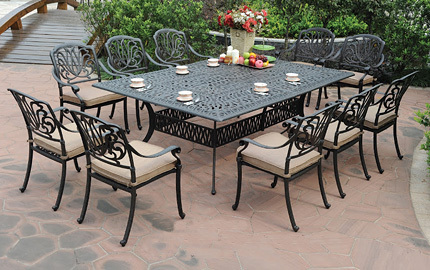 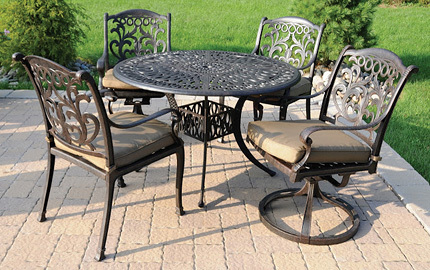 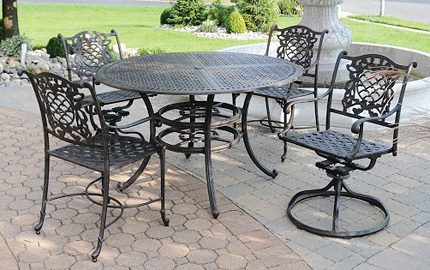 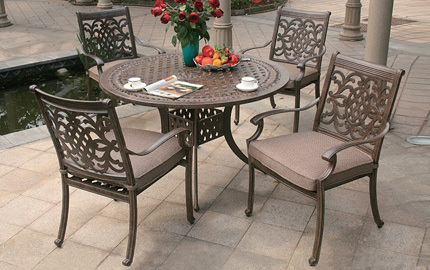 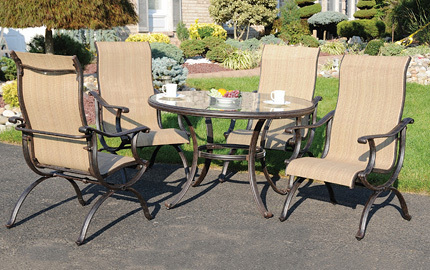 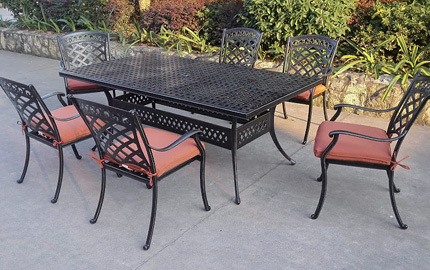 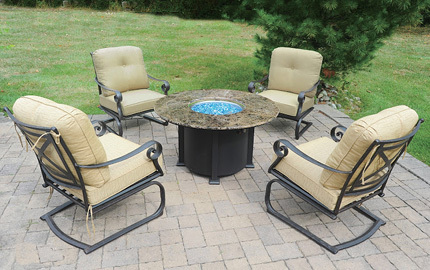 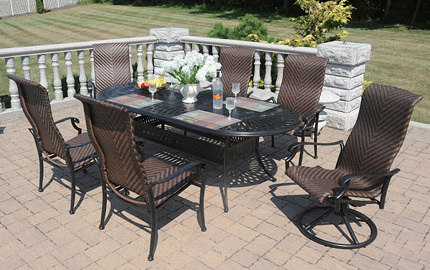 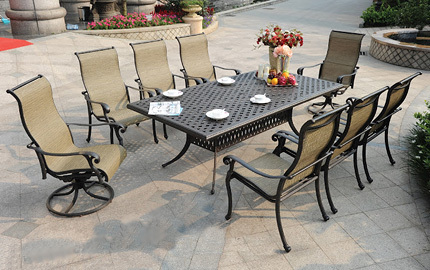 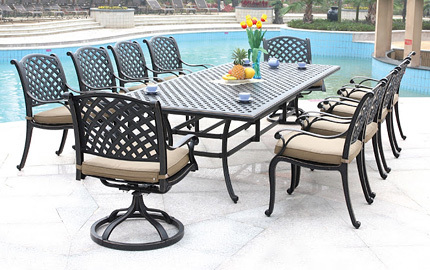 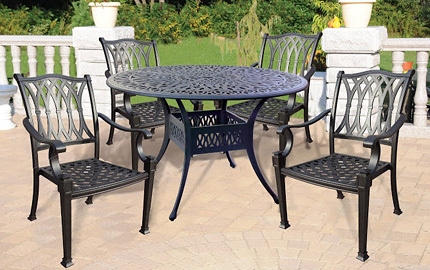 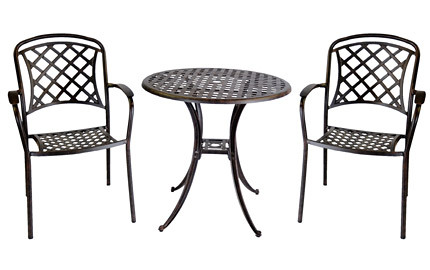 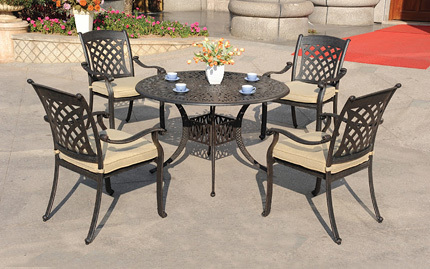 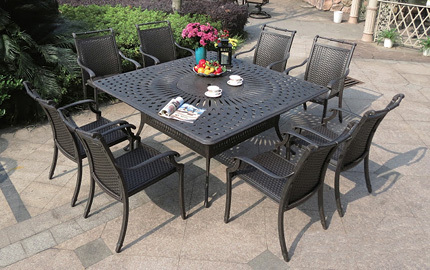 You can find the perfect outdoor table set to complement your patio furniture needs here at DWL. 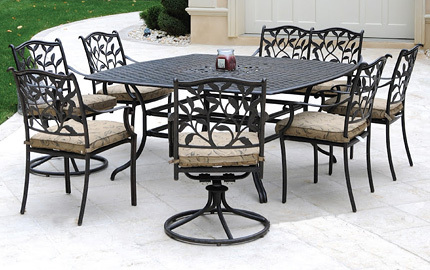 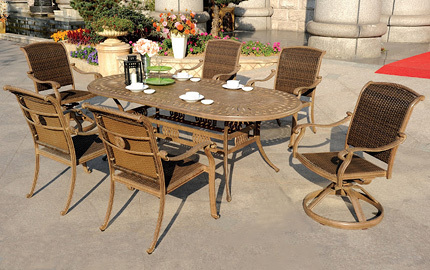 Our cast aluminum, wicker, and sling dining collections put a heavy emphasis on quality and style. 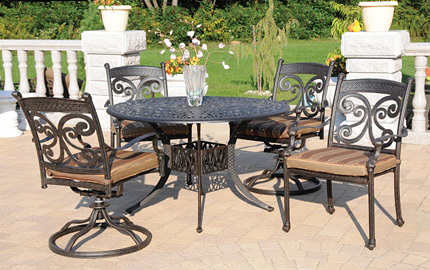 We offer a variety of pieces (dining chairs, swivels, bar stools, deep-seating, etc.) 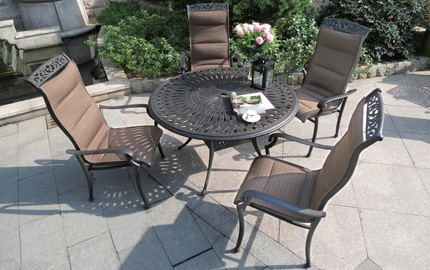 as well as powder-coat finishes and fabrics to fit your personal preference. 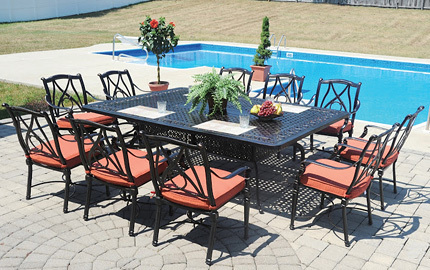 The extensive design choices, swift service, and affordable pricing we provide are sure to bring you back. 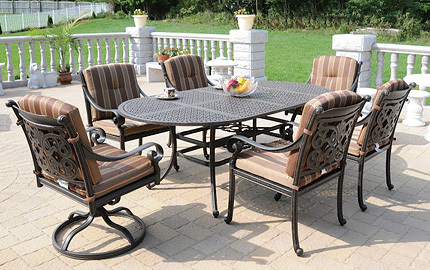 We look forward to helping you furnish your backyard, patio, deck, porch and more.